I always like to know it something really works. A check is on the way to the Friends of the North Fork Community Library for $56.43. We signed up for the account at the end of June 2014. A huge Thank You to the twenty households signed up so far. This is an EASY way to donate. Yes, we need $$$ to help pay the insurance and for gravel for the parking lot. 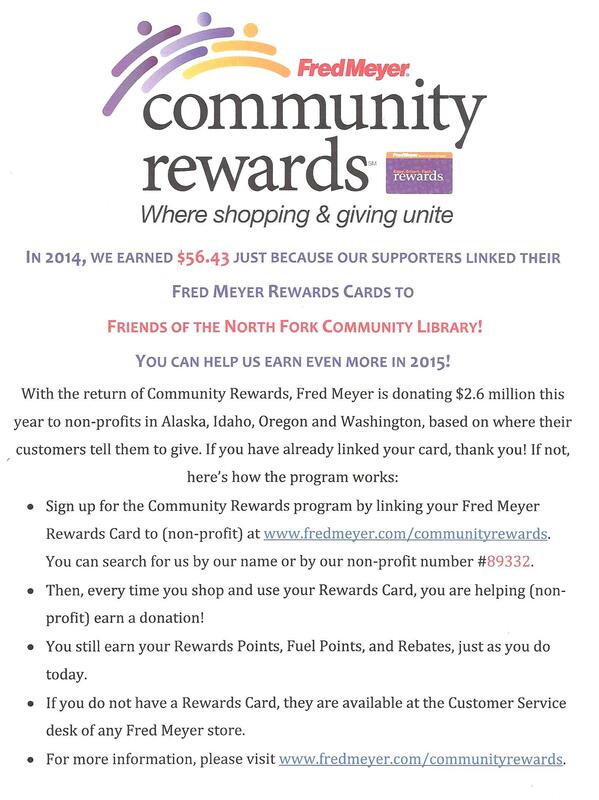 This entry was posted in Library Fund Raising and tagged Fund Raiser, Fund Raising, North Fork Community Library. Bookmark the permalink.